If a battery component leaked to 9to5Mac today is legitimate, it indicates that the next iPhone model will be both thinner and capable of supporting an LTE chip. Leaked iPhone components are a funny thing. On one hand, they come from the one place that Apple can’t completely control, its vast supply chain. But the company is still completely tight-lipped in other areas, making them difficult to prove or disprove until the devices have been released and then torn down by a repair shop. However, sometimes components do make a certain amount of sense in context, and sometimes the absence of any other alternative parts is evidence in and of itself. That’s why this battery component, the first that we’ve seen that differs from Apple’s older batteries, seems like it could be the real deal. But there are some options that don’t even require anything that radical. Brian Klug of Anandtech pointed out to me that Motorola has been shipping Lithium batterieswith an alternative high voltage chemistry in its devices for some time. A bump of just 0.1V in the battery of Apple’s next iPhone could easily make up the 10% difference needed for a low-power LTE chip. Since then, other manufacturers have begun using the higher voltage process. The Samsung Galaxy S III, for example, uses a 3.8V battery. According to the specs of the leak, this is a 3.8V 5.4WHr battery with a 1440 mAh capacity. Note that the battery runs at the predicted .1V higher nominal voltage than the iPhone 4S’ 3.7V battery. Just for the sake of some intellectual exploration here, lets assume that this is a real component. If we looking at iFixit’s teardown of the iPhone 4S, we can see that the existing battery packs in tightly with the existing components. There is no way to compare the sizes of the two components without context, though the connector does give us some basic idea of scale, as it appears to be the standard type. The fact that it’s only 5.45 Whr also means that it can’t be both longer and thicker, or it would be a significantly higher capacity. If it was the same thickness as the iPhone 4S battery at 3.8V, we’d be looking at a much higher Whr number. 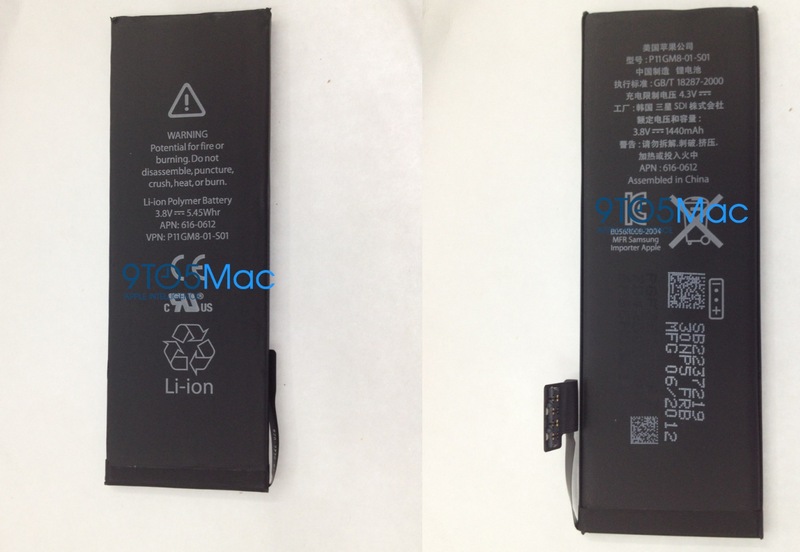 So, it seems that this battery might actually be longer, or ‘taller’, but thinner than the iPhone 4S part. This means that it spreads roughly the same volume out over a larger area, and bumps the voltage, which is how we end up with a slightly higher capacity battery. Such a thinner battery would likely allow for a thinner device overall, which may explain some of the rumors we’ve been seeing about a thinner casing. The increase in power alone won’t do it, though. A 2.8% increase in capacity between the two batteries needs to be helped out with lower-power components. Thankfully, such components are now in production and should be available for use in a future iPhone. As far as LTE chips go, the Qualcomm MDM9615 is built using the 28nm processor fabrication process, which leads to chips with much lower power requirements, and it’s already in full production. And Samsung is now shipping ARM processors on the lower-power 32nm fab, which will also mitigate battery drain. So, we don’t know if this battery component is legitimate, but if it is it aligns well with rumors of a thinner next generation iPhone with an LTE radio. If we had to guess, though, we’d say battery life will either stay the same or drop slightly. That being said, remember that we don’t actually know anything about the next iPhone yet, but we should very soon as the event seems to be set for September 12. Update: Arnold Kim pointed out to me, correctly, that the LTE chip will likely require a higher relative percentage of the iPhone’s battery, due to its smaller size. So LTE will weigh harder on its capacity than it will on the larger iPad battery. 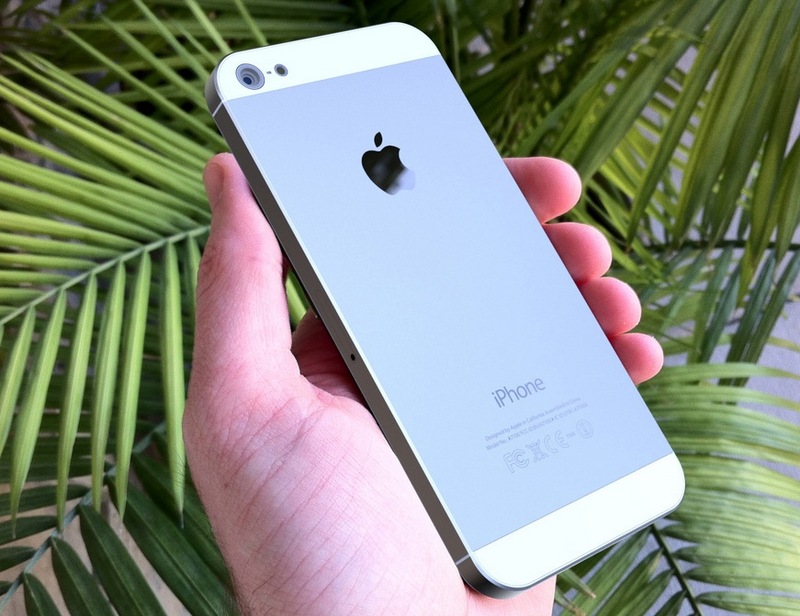 Still, due to lower-power components and the slight increase in size, It still seems likely that battery life will be on par with the iPhone 4S.